As highlighted in this piece on the Mirror, hundreds of gingers paraded through the streets of Edinburgh in the UK’s first ever Ginger Pride march. The march, led by Canadian comic Shawn Hitchins, was an apparent demonstration against ‘gingerism’, but, well, it’s wound it’s way onto the pages of a site about PR stunts and campaigns because that’s exactly what it is, to promote Hitchins’ Ginger Nation show at this year’s Edinburgh Fringe. The parade was apparently organised by PR supremo Mark Borkowski. 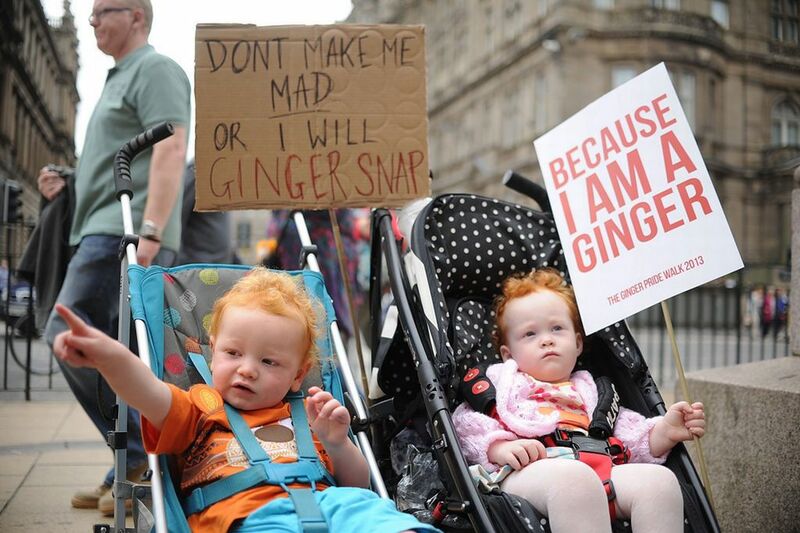 Marchers carried messages such as ‘For the love of ginger’, ‘All hail! The red, orange and pale’ and ‘Ginger and proud’. Hat tip to Alex Wilkinson for tweeting about this.